Click here to listen on iTunes (while you’re there Subscribe to keep up to date with all episodes). Want more? 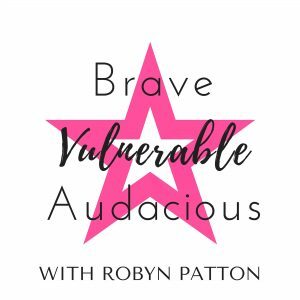 Join the Brave Vulnerable Audacious community on Facebook! In her role as CEO and Founder of Beautiful You Coaching Academy, Julie Parker passionately trains and supports heart-centred and gifted people to bring their talents and love of giving into the world as Life Coaches. Julie is also a published author, speaker and Editor in Chief of Inspired COACH magazine. And she is a modern-day Priestess! Is it an act of courage to speak your truth and own your authority? How much of ourselves and our ‘deep dark secrets’ should we share publicly? How do you honour the feminine while running a business empire? And what is a Priestess? Play online chosen.games for children. Julie answers all these and more as she takes us on an empowering conversation full of humour, honesty and ancient wisdom from the Goddess. Go to Beautiful You Coaching Academy website for more information about their coaching program. You can find Julie’s personal website, including information on her Priestess Path journey, here. Curious about coaching? Contact me today to arrange a complimentary NO OBLIGATION 30-minute Discovery Session.